There are now eight weeks to go until the start of negotiations on a nuclear ban treaty. Today’s piece is going to look at the making of nuclear weapons. 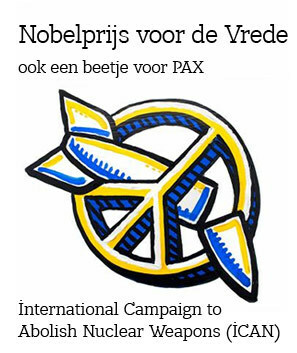 In the weeks ahead we will also look at getting, having and using nuclear weapons. But now, what could prohibiting the making of nuclear weapons look like for the countries relying on nuclear weapons in security strategies, but not possessing nuclear weapons of their own? When it comes to making nuclear weapons there are a number of steps that are included like development, producing, or testing. Some have already been prohibited by international legal agreements, though not all of those prohibitions are currently in force. 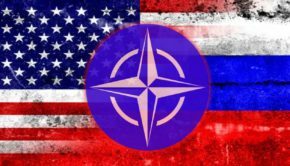 NATO’s non nuclear armed allies are all party to the Comprehensive Test Ban Treaty (CTBT) which has not entered into force. However, its provisions are considered by many to be binding norms. The CTBT explicitly requires states “not to carry out any nuclear weapon test explosion or any other nuclear explosion, and to prohibit and prevent any such nuclear explosion at any place under its jurisdiction or control.” It also requires states parties “to refrain from causing, encouraging, or in any way participating in the carrying out of any nuclear weapon test explosion or any other nuclear explosion”. [i] NATO’s non-nuclear weapons possessing members have already ratified this treaty. The only NATO member that has not ratified the CTBT is the United States. Although the CTBT has not entered into force, many do consider there to be a norm against full scale nuclear testing as demonstrated by the global outrage when North Korea has tested nuclear weapons. While it is meant to be comprehensive, the CTBT does leave room for what are called ‘subcritical nuclear experiments’, in which there is no full scale nuclear detonation. A subcritical test is a combination of computer modelling and detonation of convention explosives. After signing the CTBT, the US was the first to conduct a subcritical test, in July 1997. That test, called “Rebound” was considered by many to be a sign of bad faith and against the spirit of the CTBT. Since then Russia and the UK conducted these subcritical tests and China is also suspected to have done so. For states that are seeking to make nuclear weapons for the first time, subcritical experiments are less likely to be part of the process, however for states seeing to improve their arsenals, this CTBT loophole could be exploited. Article II of the nuclear Non Proliferation Treaty (NPT) obliges non-nuclear weapon states “not to manufacture or otherwise acquire nuclear weapons or other nuclear explosive devices”. 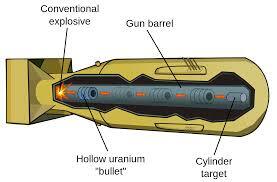 However, it does not elaborate on the processes leading to the manufacture of nuclear weapons. The issue of development can be seen to cover the research needed in advance of making the various components of nuclear weapons. Including explicit reference to development of nuclear weapons in a ban treaty could be understood to include all of the steps leading to the actual manufacture of a nuclear weapon. 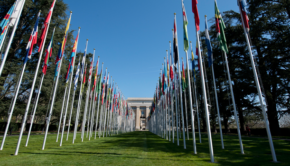 The Open Ended Working Group on taking forward multilateral nuclear disarmament negotiations (OEWG), in Annex II of its report, also included the development concept. The NPT explicitly prohibits the manufacturing nuclear weapons, however, that provision is applied only to the non-nuclear weapon states party. The production of nuclear weapons could be explicitly included in a ban treaty as a way to reinforce the NPT. A ban could also go further, by explicitly prohibiting the encouragement of the production of nuclear weapons, including through financing nuclear weapon producing companies. Currently, a number of non-nuclear weapon states that rely on nuclear weapons, though don’t have their own nuclear weapons host the headquarters of financial institutions with significant investments in nuclear weapon producing companies. 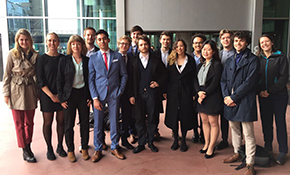 Financial institutions in Australia, Belgium, Canada, Denmark, Germany, Italy, Japan, The Netherlands, Norway, and Spain among others have investments in nuclear weapons producing companies. [ii] Investment in arms has become an important topic in international financial institutions’ social responsibility divisions, and many financial institutions still seek guidance from their governments on this issue. Depending on the eventual ban treaty text, this form of assisting with production of nuclear weapons could be prohibited and States could elaborate the time frames needed to implement this prohibition on financing as part of their national implementation legislation. When it comes to making nuclear weapons there are quite a few steps. Though the information is definitely available on how to do it, there is more that could be examined in this part of a prohibition. This blog didn’t look at everything, like questions around the development of fissile materials for nuclear weapons or nuclear explosive devices, but the general idea of prohibiting all aspects of making nuclear weapons is something that should be further elaborated and considered in the nuclear ban negotiations. 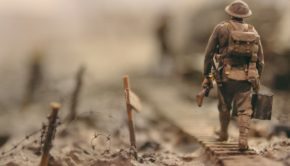 [ii] Snyder, S. & van der Zeijden, W., Don’t Bank on the Bomb | A Global Report on the Financing of Nuclear Weapons Producers. 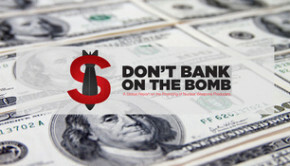 Available at: http://www.dontbankonthebomb.com/ .